Whenever January rolls around, you start feeling like you have a blank slate; a new chance to improve on those areas in your life that need it, and to become the person you want to be. If you're a student, this may mean that you want to make some changes in your academic life to become a better learner. If you aren't sure what steps you should take to achieve that, however, you can keep the new year's resolutions mentioned in this post. Reach your academic potential this year with The Tutoring Center, Moorpark CA. Call (805) 876-0288 or visit their Facebook Page to find out how they can help. Staying on top of how you spend your time, the responsibilities you need to fulfill, and where your belongings are can help you become a more successful student overall, which is why you should make an effort to be more organized during this new year. To that end, you can carry a planner with you where you can note down your homework and projects, as well as create a schedule to work on those responsibilities. You should also learn to keep track of your belongings to avoid misplacing them. It's not uncommon for students to give into procrastination every once in a while. However, doing so can lead to poor academic performance and an unsuccessful learning experience. For that reason, you should work on avoiding procrastination and improving your attention span during the new year. To make that happen, you can create a distraction-free study environment where you can focus. You can also set academic goals for yourself that can give you direction. Lastly, create a rewards system that will entice you to keep up with your schedule and complete all of your daily responsibilities. If you're a student, you're probably familiar with the sentiment of "this time, I will get better grades." 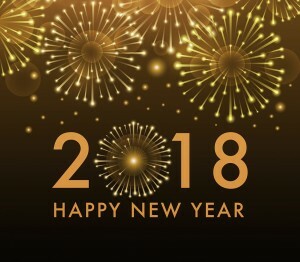 However, if this is the year where you want to make this wish a reality, you can totally do it; you'll just need to make a real effort and work hard. For starters, you will need to actually pay attention in class and work on learning the lessons you're being taught. Of course, you should also do your homework, as it is a big portion of your grade. Lastly, be sure to study effectively (and not just for your tests), so you can have a successful learning experience. If you want to have successful learning experiences, call The Tutoring Center, Moorpark CA at (805) 876-0288 to enroll in one-to-one tutoring in Moorpark CA. While striving to get better grades is an awesome new year's resolution to keep, you should focus on trying to learn more this year. Being a successful learner can help you tremendously since it will allow you to become more knowledgeable and will give you useful tools you can employ in your life. That's why, instead of cramming a night before a test, or simply memorizing the information you're given in your textbooks or by your teacher, you should do your best to understand your school subjects and the reasoning behind what you're learning. If you want to meet new people, acquire new skills, and keep your brain learning and developing, you should try new things during the new school term. For example, most schools have sports teams, drama clubs, language courses, music classes, science clubs, among many other extracurricular activities. By joining one of them, you will be expanding your mind and your social circle. Furthermore, you will be stepping out of your comfort zone and challenging yourself, which is the only way to truly improve. Last but not least, you should keep the new year's resolution to have a positive, "can do" attitude (about your academics and about life in general). This is because, when you have negative thoughts (e.g. "I can't do this"), you're actually setting yourself up for failure. Your mind is a powerful thing, so changing your perspective, your knowledge, and your abilities will help you accomplish so much more. This will allow you to have a more successful learning experience and more confidence in yourself. Enroll at The Tutoring Center, Moorpark CA if you require academic assistance. Call (805) 876-0288 to learn about the benefits of one-to-one tutoring in Moorpark CA, or to request a free consultation.